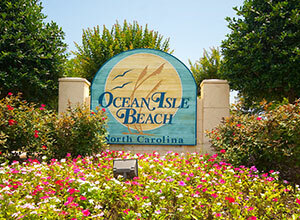 Ocean Isle Beach is located midway between Wilmington, NC and Myrtle Beach, SC. Stretching for 8 miles, Ocean Isle Beach lies in the center of South Brunswick's three barrier islands. The powder-sand island beach faces directly south, providing all day sunshine. 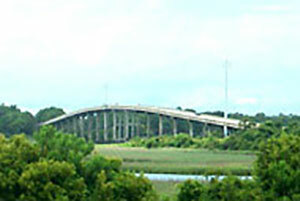 Accessible by a modern, high rise bridge, the island boasts amenities to meet the needs of all vacationers staying in our NC beach vacation rentals. There are restaurants, specialty shops and a miniature golf course. A full service pier and fishing center, marinas, boat docks, and charter fishing boats offer every kind of salt water fishing. Ocean Isle Beach is Relaxing, Invigorating, Inspiring. Essentially, it's everything you could want for a vacation, investment property, or a retirement home. Our beach separates us from the crowd...No neon. No traffic. No fuss!